Some acceptable resolution must be found for the people who already live here. Then, you can make money off new development and redevelopment. 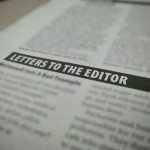 Do we need more apartments in the village? I think we do. I think we need luxury apartments and moderately priced housing. When I ran for trustee years ago, I talked about the village being a community—made up of people who live here. The folks at the bagel shop are my neighbors. The people who help me at Everfresh are my neighbors. Communities are made up of people at all levels of economic, social, ethnic, religious backgrounds. Lack of diversity = ghetto. There is a demand for more apartments—for new families starting out, as well as empty nesters, who have sold their homes after decades of living in the village and want to stay here. Of course, with new apartments comes more traffic, more parking problems, greater strain on our schools and other services. Clearly, a balance must be found—and any master plan for the village (really, it should be a master plan for the peninsula—I understand Great Neck Estates is a separate political entity than the village, but you cannot tell me that the new development at Clover Drive doesn’t impact the village, less than one block to the north) must include a study of traffic, water supply, parking, etc. Independently of the mayor’s proposal, I began to think about lowering the number of parking spots developers must provide in new projects. This line of thought runs contrary to the mantra of providing more parking (up to one spot per bedroom). I thought this would be a good way to limit the number of new cars. With a limited number of overnight parking, there simply would be nowhere to put more cars. Potential new apartment residents would be told beforehand that they are allowed one car per apartment. Many families could not settle for just one spot, but many others, such as empty nesters and commuters to the city, could. Two things: One, in order for this to truly work, there must be more mass transit. Again, I’ve talked about a free shuttle through town to supplement the NICE system. Again, we need to think about the peninsula, not just the village. I know a shuttle would have to pass through several “political jurisdictions” to reach the LIRR station. So? Deal with the other villages. Two: What happens when people start complaining about there not being enough parking, and the regulations on overnight street parking disappear? Already, there is some easing of this regulation, like around Wooleys Lane on Middle Neck Road. Does overnight on-street parking ruin the “character” of the village? Drive through the unincorporated area between Oxford and Allenwood Roads. Is the character of the area diminished by legally parking overnight? I’m not sure that it does, but I am sure that if overnight parking becomes legal throughout the village, there will be too many cars to park, to drive and to evade while crossing the street. In these times, where negotiations continue after the deal is signed, where up is down and true is false, can we trust that this regulation will stay on the books? The best (worst?) example of the ebb and flow of change—of “forever” being so, so temporary—is the proposed “trade” of a parcel of land on Middle Neck Road, along with a new village hall built gratis, in exchange for breaking (changing?) an agreement made between the developer and the previous village administration, in regards to expanding the project known as Oxford Plaza. In order to build Oxford Plaza, the developer promised to leave a permanent green space adjacent to the side of the project, fronting on Arrandale Avenue. Arrandale itself is not zoned for multifamily dwellings like apartment houses. The developer has since bought the adjacent (oversize) plot on Arrandale, knocked down the house and now wants to expand the Oxford Plaza project, moving the “permanent” green barrier to the further edge of the newly bought parcel. Is this a fair trade? The village certainly makes out OK—a new, free village hall means the village can sell the present village hall. It’s gotta be a million dollars or so, I reckon, and the new village hall will be right on Middle Neck Road, in the epicenter of the proposed revitalization/redevelopment of the north end of town (between Hicks Lane and Steamboat Road). So, is this fair? People will cry “Foul” and “Bribery.” Another deal broken, another line crossed. When will it stop? Will the next house on Arrandale be the next to be razed? Will the house next to your house be next? Others will say that the developer is not “getting away” with anything—he is paying a “penalty,” “trading” a couple of million dollars of real-estate value for permission to make a couple of tens of millions more. Is this fair? I truly don’t know anymore. Mix my bleeding heart with naivety, faced by reality and the inevitability of change, and I am left unsure. How do you feel about any of this? Do you care? Will you show up at a village meeting and let them know how you feel? Will even the people from the next house on Arrandale show up? I am left wondering. I sure will miss those trees.